This is an amazing way to see Aconcagua Park. You can fly around and witness the most spectacular views. You’ll be shocked by the beauty of the experience. A flight past Horcones Vallley, where you will be able to see the South Wall and the West Wall. A flight to Plaza Argentina, in which you will enjoy the view of the South Wall and the southeast glacier. Also you’ll be able to see The Polish Glacier. Service dependent to availability and weather factors. 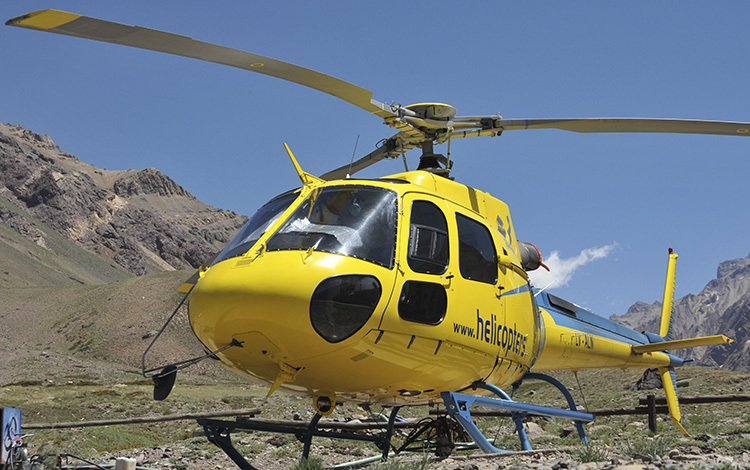 You also can hire the helicopter for the option of coming off the mountain, in which you will be able to come down in 15 minutes for what usually takes 10 hours walking.